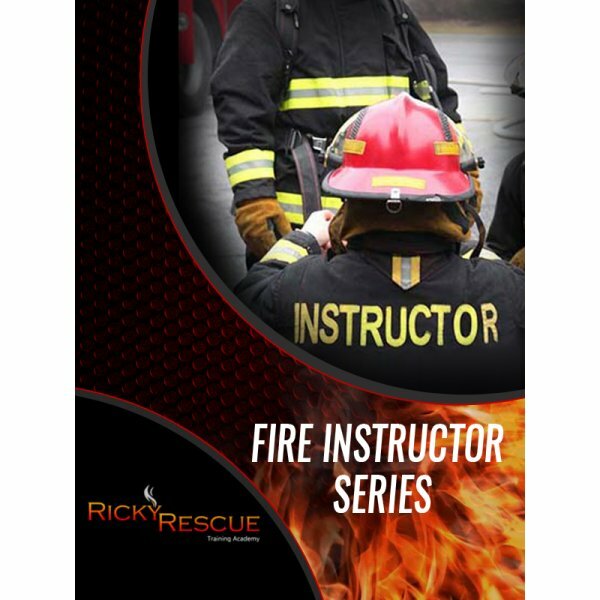 The Ricky Rescue Fire Instructor Series combines the 2 Fire Instructor courses required as part of the coursework for Florida Fire Instructor 1, Fire Instructor 2, and Fire Instructor 3. This is a 45-hour open enrollment, self-paced, blended eLearning course with an 8-hour in-person component. It forms part of the Florida State Fire pre-certification requirements for Florida Fire Instructor I, Fire Instructor II, Fire Instructor III, and Fire Officer I. This course provides 45 CEUs towards Florida Fire Instructor and Florida Firesafety Inspector renewal. The course complies with JPR's found in NFPA 1041. It is designed to teach students proven techniques for effectively communicating information across a range of teaching situations, principles and theories of adult and student-centered learning, methodology and mechanics of teaching, how to measure teaching effectiveness and effective use of devices required for specific training areas, as well as media and visual aids. The course follows the JPRs found in NFPA 1041 and NFPA 102. It is intended to teach students effective course design principles with emphasis on student-centered and adult learning practices, as well as course and unit design with a focus on achieving desired learning, performance, and behavioral outcomes. The in-person presentations for Fire Service Course Delivery and Fire Service Course Design are done in a traditional classroom setting. The in-person portion of each class is an 8-hour day typically near the end of each month. The in-person days will be held in one of the following locations unless other arrangements are made with the instructor. Exact location and time will be confirmed on the course calendar.